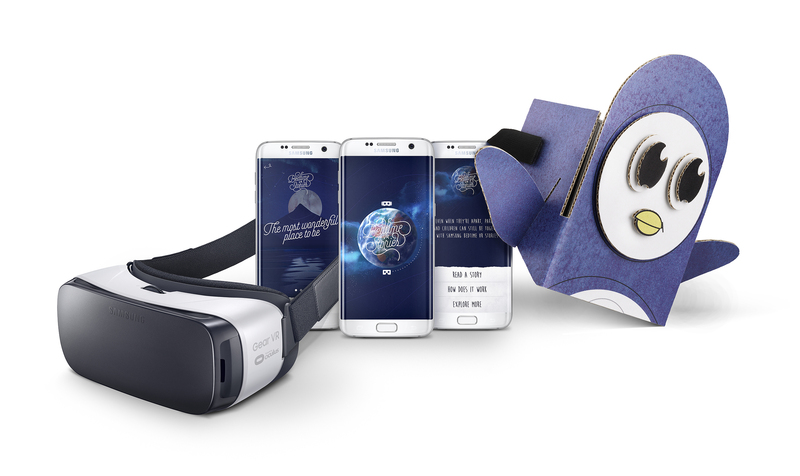 Samsung Electronics is road testing Samsung Bedtime Virtual Reality Stories, a virtual reality story environment where parents and children can see and interact with each other for an immersive, shared experience. This prototype technology developed by Samsung is being tested with select families across the UK to establish the benefits virtual storytelling can give to families who cannot always be in the same place for a bedtime story. Using a Gear VR headset, VR and VOIP (Voice Over Internet Protocol) technology, parents will be able to tell their children a bedtime story like no other with both parent and child transported to far flung worlds and galaxies, interacting with dinosaurs, arctic animals and robots. 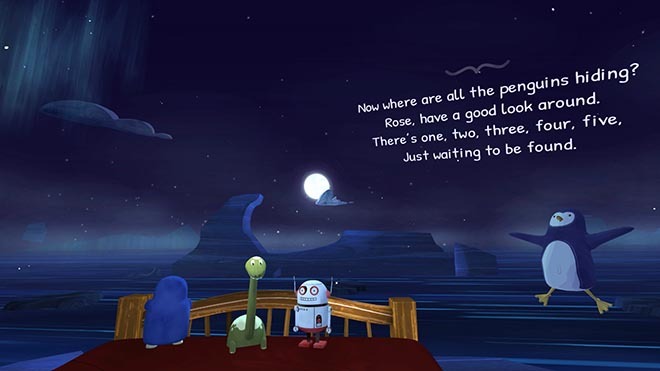 However far apart they are, parents will be able to share that all-important bedtime story with their child, using VR technology to connect them in the same virtual world. 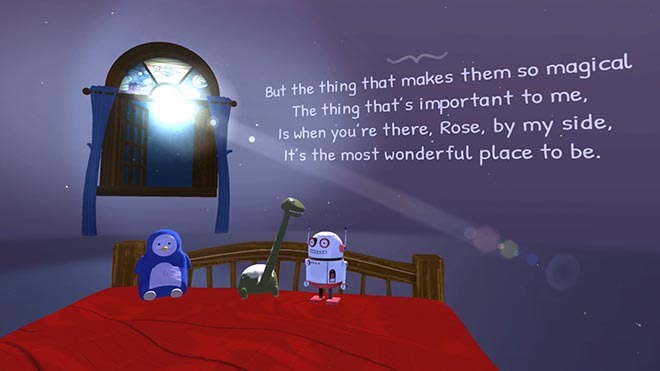 The child will even hear their parent reciting the story and be able to interact with their parent as though they are in the same room, whilst also getting the benefit of VR technology immersing them in an exciting world that will capture their imagination. The VR story, titled the ‘Most Wonderful Place to Be’ sees the parent and their child transported to a fantastical world. With both sat on a magical bed, they go on a journey that takes them from the bedroom to three magical places. First stop is the Arctic, in the company of Jen the Penguin. Next, Dan the Dinosaur takes them to meet the rest of his family in a pre-historic world. Finally, they fly into outer space with Robot Jo, for a musical finale. 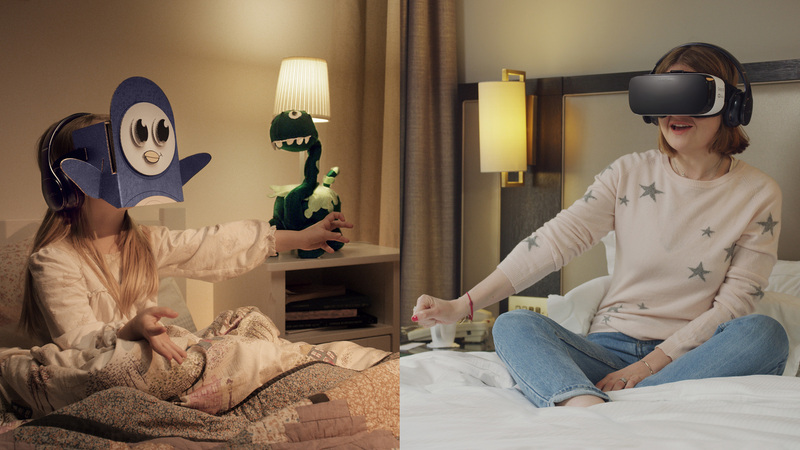 The Samsung Bedtime Virtual Reality Stories project is part of Launching People, a global campaign by Samsung Electronics Co., Ltd. designed to help consumers unleash their potential and create meaningful change through the use of Samsung technology. See more on the project at samsung.com/uk/bedtimevrstories. 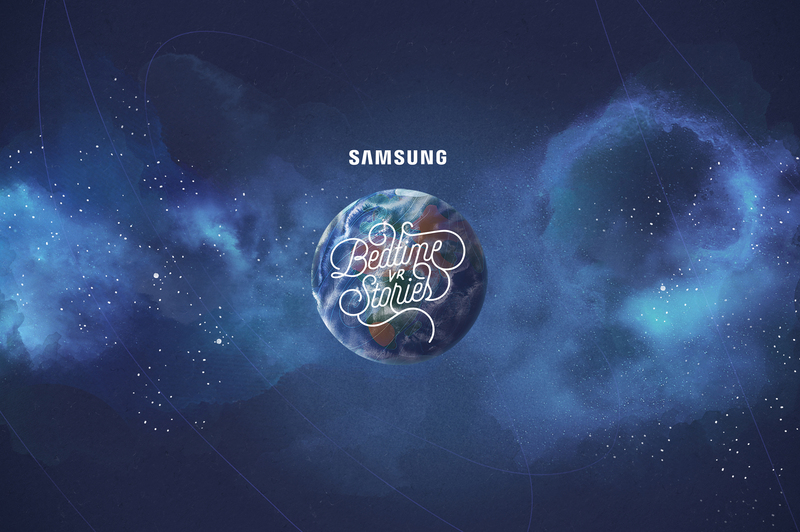 The Samsung Bedtime Virtual Reality Stories project was developed at BBH London by creative team Martin-Jon Adolfsson and Oksana Valentelis, creative director Joakim Borgstrom, copywriter Nick Kidney, film producer David Lynch, digital producer Samuel Bowden, assistant producer Sarah Cooper, print producers Simon Taylor and Katie Callaghan, chief production officer Davud Karbassioun, business leads Julian Broadhead, Polly McMorrow, global business development director Tim Harvey, managing partner Amrita Das, editorial director Richard Cable, BBH labs innovation director Jeremy Ettinghausen, creative Vix Jagger, creative Chris Meachin, creative technology head Alex Matthews, strategy director Damien Le Castrec, strategist Tom Patterson, chief strategy officer Jason Gonsalves, head of user experience Matt Bertocchi, account executive Patrick Dedman, account manager Kate Frewin-Clarke, account managers Lara Worthington and Katharine Gritten, working with Samsung global marketing director Dan Canham. Virtual reality work was done at Unit9 by creative director Henry Cowling, art director Fred Aven, tech lead Laurentiu Fenes, lead unity developer Xavier Arias, unity developers Kevin Borrell, David Diaz, Luke Haugh, Mark Vatsel, Riess Phillips, illustration, environments and character designer Henry Christian-Slane, 3D artists Sophie Langohr, Steve Campbell, storyboard artist Sophie Conchonnet, technical artist Josep Moix, UX designer Camille Theveniau, designer Mariusz Kucharczyk, sound designer Chris Green, head of QA Dominic Berzins, QA lead Eve Acton, QA senior testers Tom Watson and Ayesha Evans, QA tester Andrew Heraty, executive producer Richard Rowe, senior producer Emma Williamson. Films were produced at Black Sheep Studios.